When Shawn was hired by the Pinnacle Sports Network in January of 2006, the job position he officially was hired for was "Producer" - which would have been fine, if the Network had also employed an "Executive Producer." Within less than a week, Shawn took over as "Executive Producer" for the network, and his responsibilities varied widely. Not only was he in charge of all audio programming for the Network, but he also became responsible for overseeing its publications as well, like the 48-page "2006 Spring Sports Guide." That included writing stories, creating graphics, designing ads, designing the entire guide and setting the layout, as well as coordinating with other writers, sales, and printing companies for the publication. Shawn performed all of this while also overseeing all audio programming duties for the Network. The list of live event programming that the soon-renamed Husker Sports Network(HSN) broadcast for the University of Nebraska-Lincoln was longer than most comparable college radio networks. It included live broadcasts for football, men's and women's basketball, women's volleyball, baseball, and softball. It was not uncommon for two or more events to overlap, with broadcasts being handled from as close as right outside Shawn's office, to as far away as China. Broadcast output channels included standard terrestrial outlets, satellite radio, and online streaming channels. Shawn was also responsible for all the content of the Network's multi-hour weeknight sports talk show, 'Sports Nightly.' At the time Shawn became the Executive Producer of HSN, the show had become a somewhat staid and boring show, catering to a relatively small, aging audience of Husker fans. A new, AP-award winning host was hired, and with Shawn's support and guidance, and the talented ideas of the host, features were added to the show including contesting, sound effects, modern music beds, and even comedy bits. 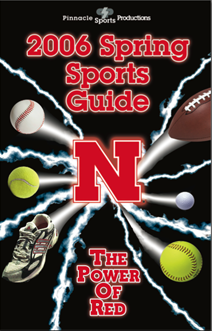 The main content of 'Sports Nightly' included analysis from the host and guests; live interviews with coaches, athletes, and sports journalists from both Nebraska and around the nation; and live calls from listeners. Before Shawn's tenure at HSN was finished, Sports Nightly had grown from a two-hour show to a three-hour nightly show. In his role as Executive Producer for HSN, Shawn was also called on to produce specialty pieces of audio from time to time, like the 'hold music' for the Nebraska Cornhusker football offices, which can be heard below. The primary requirement given by the client for this project was that the audio piece focus on a single football game, and be at least eight minutes long, to ensure those who were waiting on hold were unlikely to hear the same clip of audio twice during a single phone call.